Combining luxury with a rustic ambience, tradition with innovation, and green philosophy with pure indulgence, the five-star Stanglwirt resort brings together apparent contrasts to create a unique and incomparable holiday experience. Proverbial Tyrolean hospitality is synonymous with the Stanglwirt name, which was first registered as an inn more than 400 years ago. According to Condé Nast Traveler’s Gold List 2017, the Stanglwirt is one of the 142 best hotels in the world, as well as being the only Austrian hotel to be featured on the list. Recently, the Condé Nast community awarded the family-managed hotel with the Readers’ Choice Award 2016, naming it one of the top 10 resorts in Europe. Since 1722, the wellbeing of Stanglwirt guests has been placed in the hands of the Hauser family. Luxurious hotel facilities of the highest international standard have been developed from this farmstead lodging, which covers a total area of 12 hectares. Owner and ‘green visionary’ Balthasar Hauser and his family have shown that as hoteliers, they can implement their visions without renouncing their roots. A commitment to ‘bio’ or organic qualities in the Stanglwirt has nothing to do with frugality – wholesome food is produced on the 100-hectare farm, while the already legendary Stanglwirt mountain cheese matures in its own alpine dairy. Equipped in charming Tyrolean style and furnished with premium organic materials such as native Swiss stone pinewood and fabrics made from pure sheep’s wool, linen and cotton, the 171 rooms and suites offer an unforgettable wellbeing experience. The Wilder Kaiser mountain ridge, where the resort and bio-hotel is located, is more than just an impressive setting and excursion destination. Kaiser stone is a distinctive characteristic of the wellness worlds, creating an oasis of wellbeing complete with small and large grottos, caves and waterfalls. The resort is currently undergoing an extensive refurbishment and extension of its wellbeing worlds. Stanglwirt’s brine pool – the largest in any hotel in Europe (210sq m indoors and outdoors at a temperature of 36 degrees Celsius) – has been open since 2012, as well as its 25m international sports swimming pool with OMEGA time measurement and a variety of relaxation areas with open fireplaces and cosy, luxurious loungers. Guests can also enjoy a spacious event sauna complete with panoramic views of the Wilder Kaiser. This outside area has a spectacular natural swimming lake, at an impressive size of 517sq m.
In 2015, the adventurous 1,000sq m Children’s Waterworld – which includes a 120m waterslide and its own pool-cinema – was opened. The hotel’s entire wellbeing extension will be finalised in 2017 with the completion of an exclusive spa. 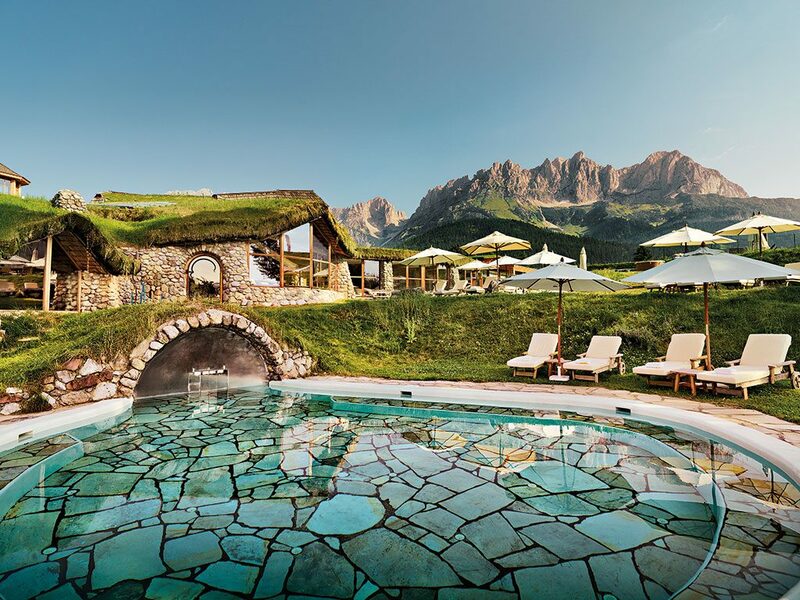 To provide energy to these new wellbeing worlds, the five-star resort utilises natural mountain water from its own spring, which comes from the Wilder Kaiser and is heated using solar power and geothermal energy. The broad range of leisure activities also includes eight outdoor and six indoor tennis courts run by the renowned Peter Burwash International Tennis School, making the Stanglwirt one of the most famous tennis resorts in Europe. In the hotel’s 500sq m indoor fitness garden, guests get to take part in free courses such as yoga and pilates, with guidance from professional medical fitness coaches. Keen horse riders will be inspired by the sophisticated Lipizzaner horses from the hotel’s own private stud farm. In the summer months, guests can improve their golf game on the complimentary on-site driving range, which includes the Stanglwirt’s own Golf Sport Academy, as well as on the 12 international 18-hole-golf courses within the region. 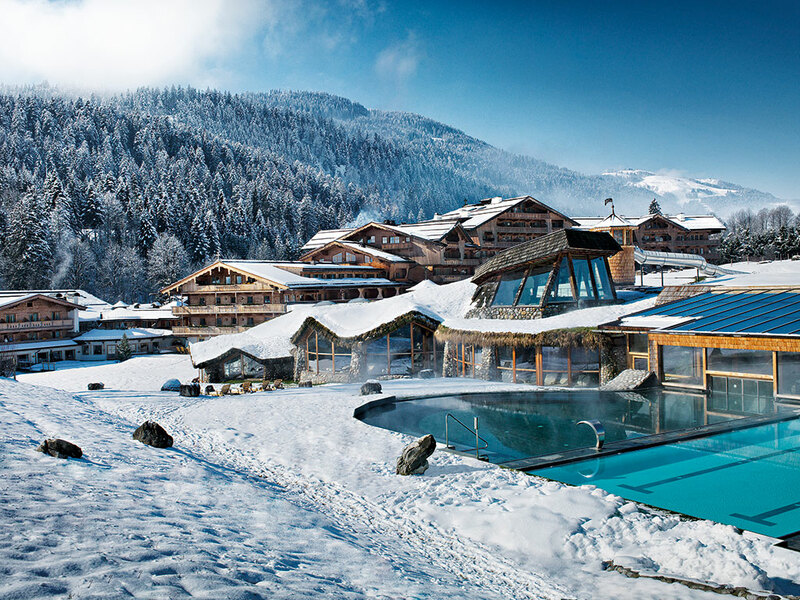 In winter, the Stanglwirt ski school organises daily beautiful ski safaris to the wonderful skiing areas SkiWelt Wilder Kaiser-Brixental and the Kitzbühel/Kirchberg ski area.